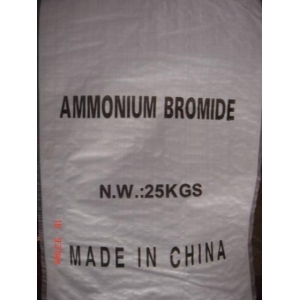 Usage:：Ammonium Bromide is used in the preparation of photographic emulsions and developers,in pharmaceutical preparations,as a wood preservative,forwater treatment and as a flame retardant additive. 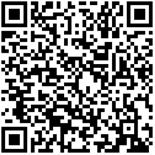 Properties: This Product is white cubic crystal, Specific gravity 2.429 and melting point 542℃ (decomposed). It is free of smell and tastes salty. It absorbs water and alcohol. Store in adry, cool, well ventilated storehouse. Avoid inhalation, ingestion and contact with eyes and skin. Package: PP woven bag of 25kg net each inner lined with PE bag.